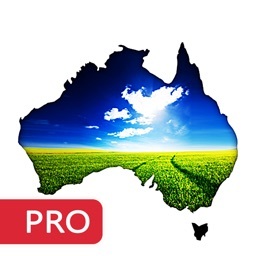 AUS Weather for iPad HD by Mende App Inc.
Australia's most accurate and detailed weather app. Sourced directly from Australian Bureau of Meteorology (BOM) and developed in Australia by Australians. 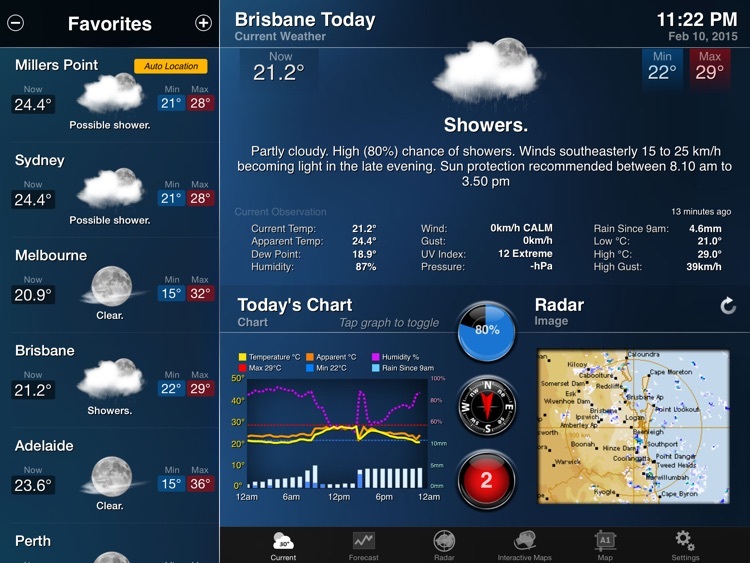 #1 Australian Weather app for iPads. 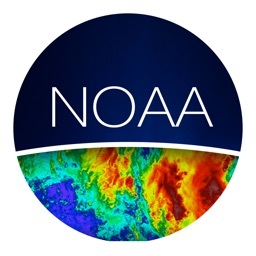 For demanding weather watches that are serious about weather forecasts, charts and maps information. Features on App Store "New & Noteworthy", "What's Hot" and "Best New Apps". 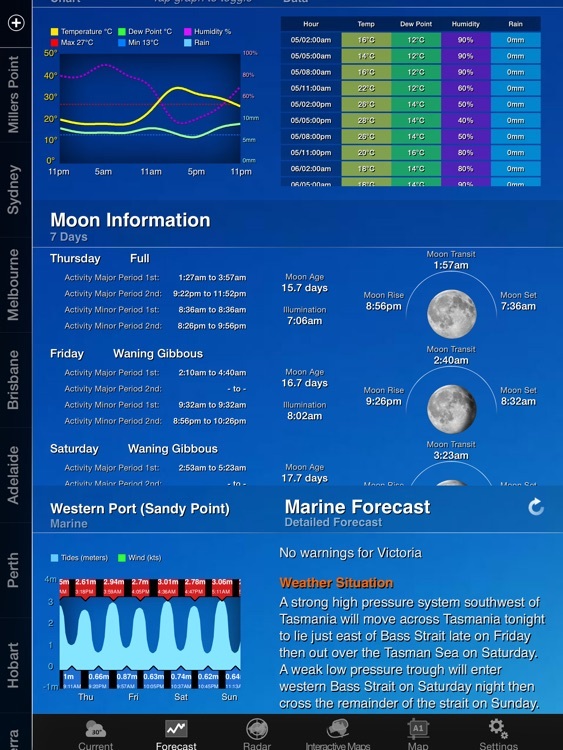 What features are exclusive to AUS Weather App? Exclusive Location finder which uses your current GPS location to get nearest weather information automatically. Exclusive 3 hourly weather forecast for next 72 hours and 6 hourly forecast for next 7 days for all location in Australia. Exclusive District Forecast for in depth forecast patterns. Exclusive Push Notifications to receive weather information or BOM warnings. Perfect for morning weather update or for a fast warning alert. 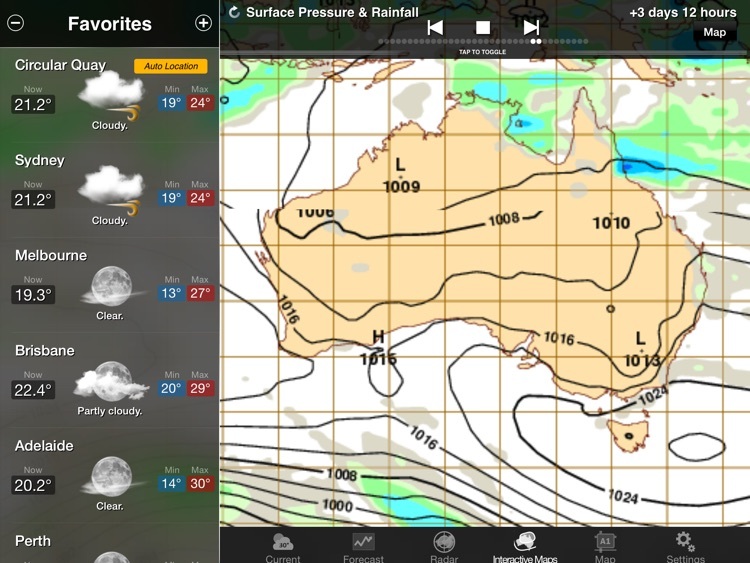 Exclusive Interactive Maps that show weather and seas forecast patterns for Australia. Exclusive weather charts showing today's temperature, maximum, minimum, humidity and rainfall. Exclusive 24 hour forecast chart to show visually the forecast temperature, maximum, minimum, humidity and rainfall. Exclusive 7 day forecast chart shows visually the forecast for the week ahead. Get forecast temperature, mean monthly maximum, mean monthly minimum, humidity and rainfall. Exclusive information on Forest Fire Index and Grass Fire Index. Exclusive celestial information from sunrise, sunset, moonrise, moonset to major and minor periods information used by fishermen and hunters. Exclusive marine information on tides, seas and wind. 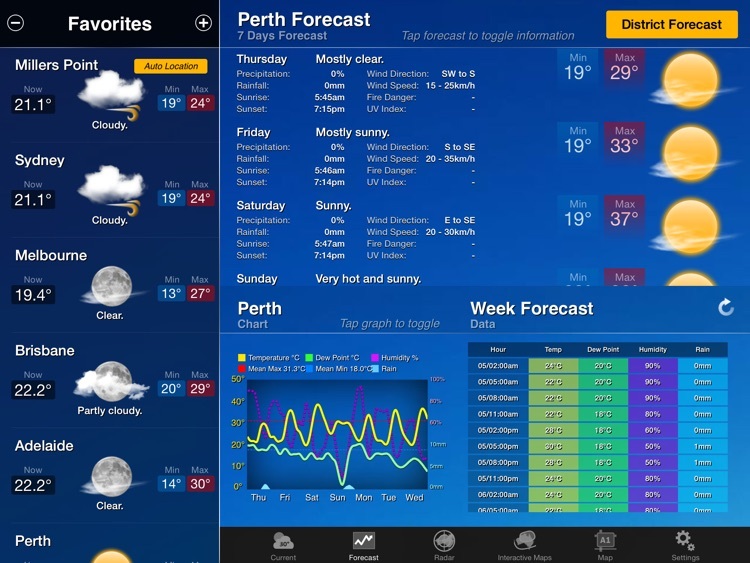 Only app to provide Australian district weather forecasts. Exclusive five different themes to choose from. Shown below is Default theme, this is our favourite since it makes the information highly visible. Radars from 64km, 128km, 256km and 512km to predict when rainfall will reach you. Radar rainfall over certain areas for the last 6 minutes, 1 hour, 24 hours and rainfall since 9am. Use the Doppler Effect radar to view direction and speed of wind. National satellite imagery with radar. Also includes an animated Synoptic Chart. 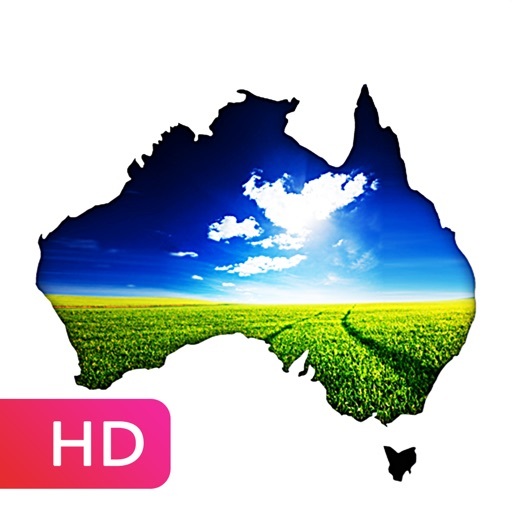 Australia Weather Information App is designed with an intuitive interface and fully equipped with all the weather information you need in your pocket. We provide the most accurate weather information from Australian Bureau of Meteorology (BOM) sources so be assure the information is always correct and not sourced from overseas. 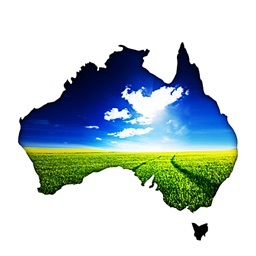 This App contains weather information only about Australian states and its territories. The data is sourced from Australian Bureau of Meteorology (BOM) and was not developed or published by BOM. 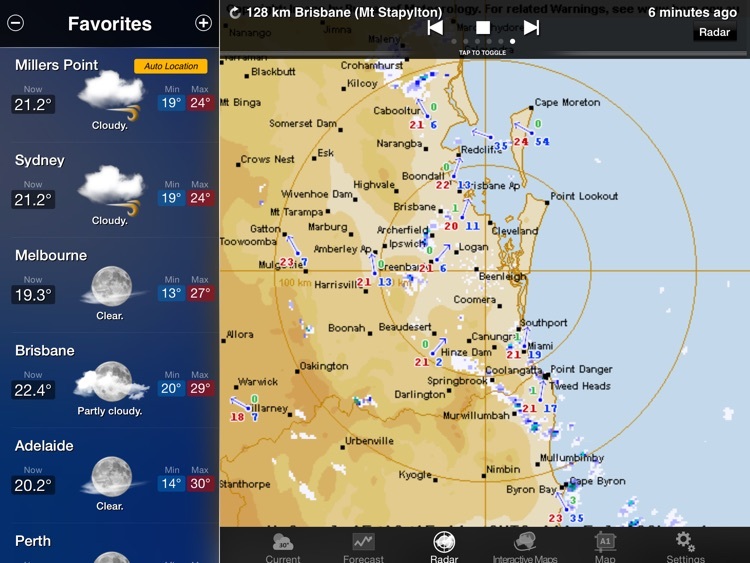 Any questions, bugs or recommendations should be sent to us [email protected] or visit us at www.weatherinfo.com.au.